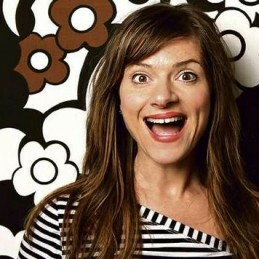 Multi-talented performer and writer, Julia Zemiro, is well recognised as the host of the SBS TV show RocKwiz. She is an outstanding comedian, and fans of Totally Full Frontal will recall the 20+ characters she portrayed through two seasons of the acclaimed comedy series. Finding a personality big enough to complement Jono on The Jonathan Coleman Experience was a real challenge… Julia’s hilarious antics were the ideal answer. With renowned guests, large prizes and big laughs alongside Jono as co-host, Julia brings laughs to Australians around the nation. Julia has been a panellist and debater for Good News Week and her comedic skills have been hilariously tested, as a regular on the television shows Thank God You’re Here and The Wedge. Julia has been improvising for many years with Sydney Theatresports and IMPRO Melbourne, leading to the improvisation challenge, ‘Spontaneous Broadway’, a night of improvised musical comedy, with a sold-out run in Melbourne. French-born Australian and graduate of the Victorian College of the Arts, Julia has been a regular on Australian television and film screens, receiving many accolades. Twice, she has picked up the Best Actress Award at Tropfest (The Extra and Muffled Love). She also received the coveted title of ‘Australia’s Brainiest TV Star’. The bubbly actress, comedian and radio personality also has a love of music. Through her success in the show ‘It Takes Two’, Julia brought back ABBA hits, as well as a touch of French pop! Combining her passions, Julia dressed up for ‘Eurobeat’, delighting audiences in the musical satire based on the Eurovision Song Contest. In 2009, Julia became the new face of Eurovision in Australia, hosting SBS’ coverage of the event.